To celebrate New York City Pride 2017, we curated two events that are sure to give you endless life henny! Get an early start with happy hour at Syndicated Bar (Brooklyn) watching the RuPaul’s Drag Race Season 9 Finale. Then, follow us to SOB’s for our Pride Friday extravaganza featuring CupcakKe! Details below. Hope to see you there! Hey kitty girl! R U ready to crown your favorite season 9 queen? This finale promises to be unlike any other, and henny you do not want to miss out! 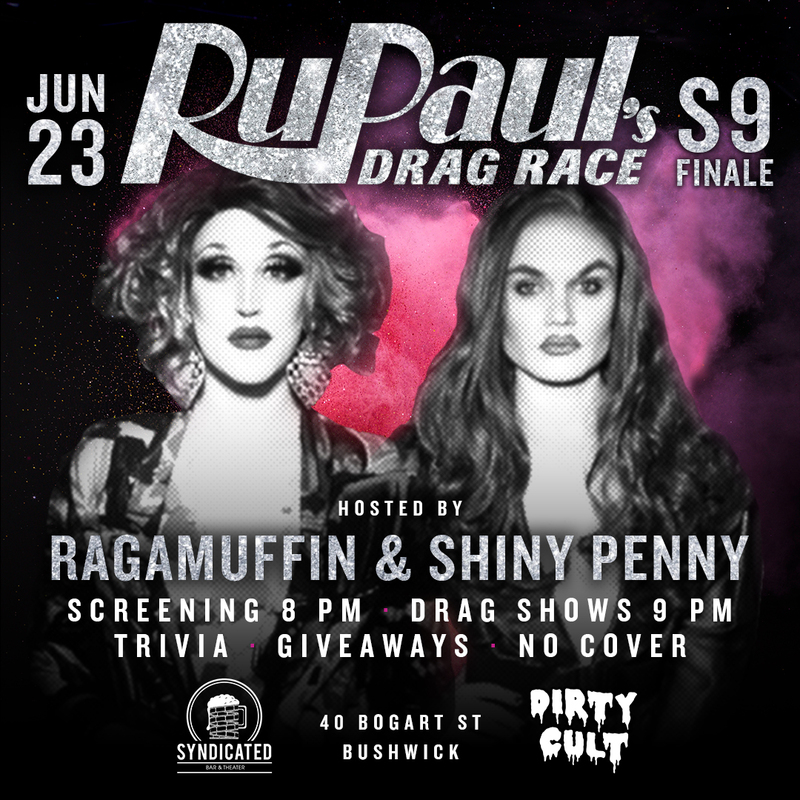 Join us at Syndicated Bar (40 Bogart St) on Friday, June 23rd for our final screening, and stick around for live performances by your weekly hosts, Brooklyn’s Drag Queen of the Year nominee, Ragamuffin and Shiny Penny, plus special guest Ms. Ter. Bring your appetite, the food there is incredible. As always, we’ll be giving away FREE DRINKS during commercials when you answer #DragRace trivia questions correctly. Happy Hour 5 – 8 PM | 21+ to sit at the bar, but everyone is welcome at the tables in the restaurant area!